The only negative is I felt it was a little flimsy for the expense. My wife has not worn it yet even though it was purchased long ago. She says she likes it, but I wonder. Kept wound it seems to keep good time. 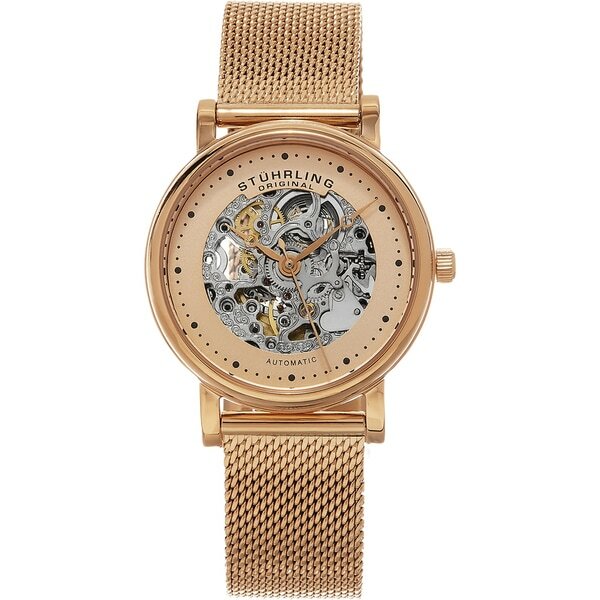 I have Sturhling watches which I love. I give it 3.5 if I could. The Castorra is an exquisite women's timepiece that features an ultra slim stainless steel case with a polished finish. It is powered by an automatic movement, which includes hours, minutes, and seconds. Looks pretty good; Small size; Not very reliable - I bought this watch twice - First time it stopped working and I returned it; Second time it stopped working and it's currently at their service department. I bought it the second time because I thought I'd give it another chance, that maybe the first time was just a fluke, but I regret buying it. I strongly suggest to skip this one.